Turner’s Rest is a two story frame building located just a few yards south of Hawley Lodge. There is a telephone on both floors. The first floor is handicap accessible and consists of one bedroom with 3 beds, and a small room with 1 bunk bed, two handicap accessible showers, 2 restrooms (1 handicap accessible) and 2 sinks (both handicap accessible). The lower level also houses a storage area, a workroom and a washer & dryer. Ascend the exterior stairs to access the second floor deck and entrance. The interior is carpeted and consists of Morgan Hall - a comfortably furnished living room, 3 bedrooms, a bathroom and kitchenette. Each bedroom contains 2 bunk beds, sleeping 4. The kitchenette has a sink, microwave and refrigerator. A small deck is located just out the back door and offers a secluded place to read and relax. The lower floor sleeps 5 and the upper floor 12. 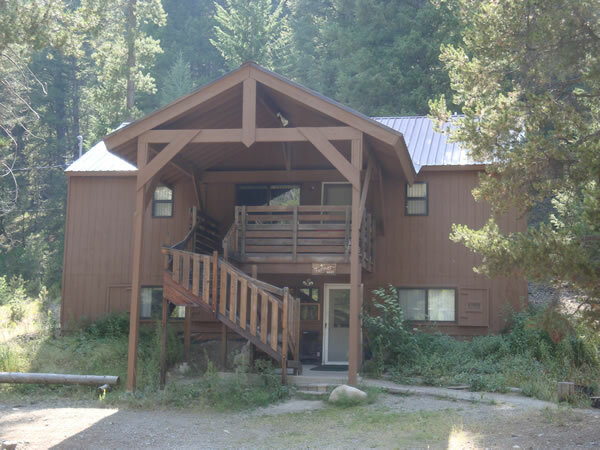 This building is our staff’s living quarters during resident camps and is not available from June through mid-August.